This month the Hellenic Air Force 342 mira at Tanagra, flying the Mirage F1CG exchanged with the Italian Air Force 18 Gruppo based at Trapani-Birgi AB, flying the F-104S/ASA. It was a two way shifted squadron exchange. First the Starfighters flew to Greece in June and later, early July, the Mirages came to Trapani. 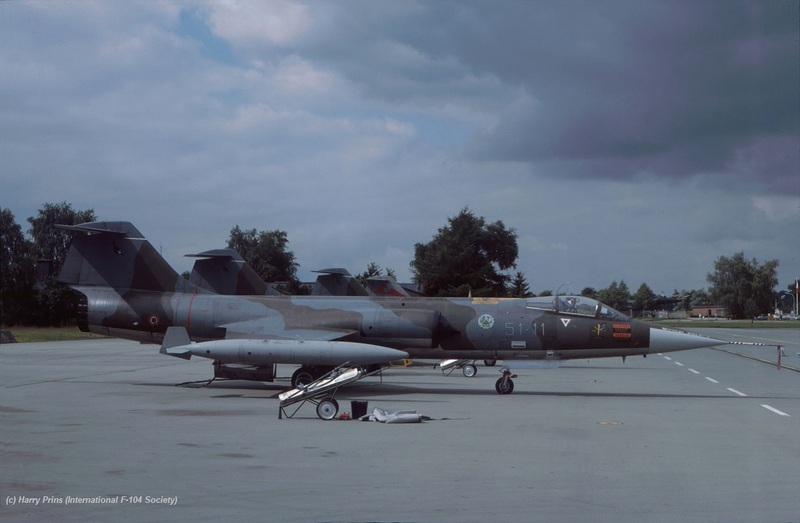 This period the Italian Air Force 22 Gruppo based at Istrana AB, flying the F-104S/ASA exchanged with the German Air Force JG72 (2nd Staffel), based at Hopsten AB and flying the F-4F Phantom. It was a 2 way shifted squadron exchange. 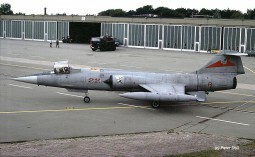 First Starfighters flew to Hopsten AB in June and during late September the F-4 Phantoms flew to Italy for their return shift. Four Starfighters flew to Germany being: MM6781/51-14, MM6810/51-11, MM6850/51-12 and commander aircraft MM6940/51-22. Pre-visit took place with nightstop from 1 to 2 April 1998, being MM6804/51-07 and MM6932/51-05. beneath two photos, one showing MM6810 code 51-11 (taken by Harry Prins) and MM6940 code 51-22 taxying (taken by Peter Doll) voth during the press day on July 2nd, 1998. This year the Danish Air Force 726 Eskadrille, based at Aalborg AB and flying the F-16A, exchanged with the Italian Air Force 10 Gruppo based at Grazzanise AB, flying the F-104S/ASA. It was a one-way exchange. 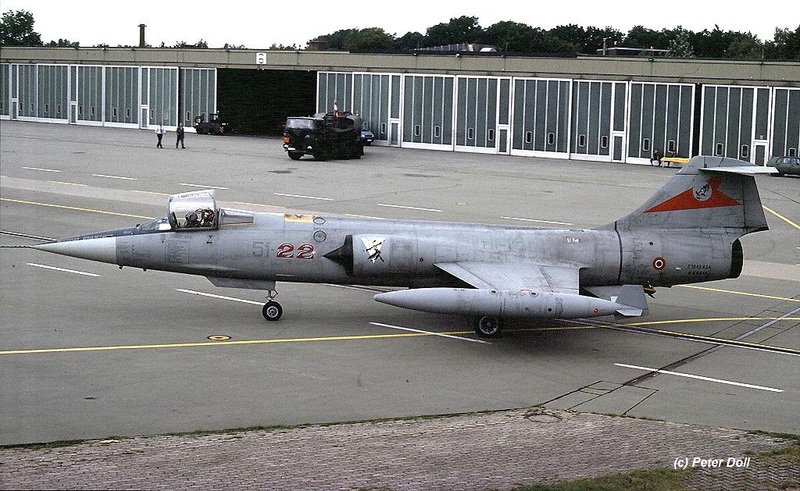 Only the Italian Starfighters visited Denmark being MM6822/9-30, MM6873/9-31, MM6875/9-33 and MM6937/9-42. This month the Turkish Air Force 172 filo flying the F-4E, based at Erhac, exchanged with the Italian Air Force 23 Gruppo based at Cervia AB, flying the F-104S/ASA. It was a 2 way shifted exchange. First the F-4E flew to Cervia, then 23 Gruppo flew to Turkey.